The sense of community within the craft beer world, both in Australia and elsewhere, is one of its most remarkable aspects. There is a willingness among businesses within the industry to share knowledge not always found in other industries as well as an eagerness to promote better beer as a whole rather than individual breweries or venues. On top of that, there are frequently projects or ventures that seek to bring beer lovers and brewers together. And now, in the shape of the Community Hop Ale, we have another. It is one conceived by fledgeling Melbourne nanobrewery Make Beer and one in which The Crafty Pint is delighted to be a partner. What’s more, it’s all about hops. In particular, your hops, which are due for harvest any time now. 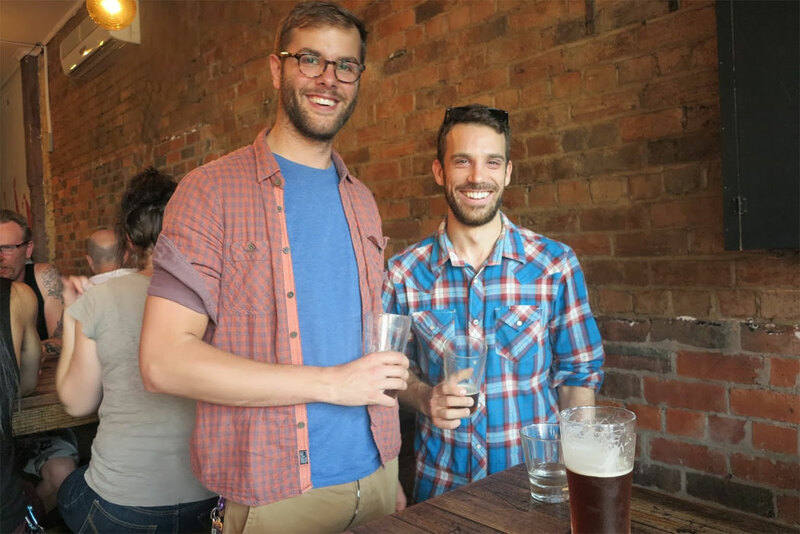 One half of Make Beer is beer rep Steven Germain (above right with We Make Beer partner in crime Dan). At his home, he has 12 hop plants that he will be harvesting this weekend. His intention was always to create a fresh hop beer with them and, in part inspired by the fact he may not have enough flowers to do a 100 litre batch justice and also by a desire to launch a community project, he decided it would be even more fun if said beer featured hops grown by other people in their respective backyards. “Last year I had five plants growing at home and brewed a pilsner with them,” says Steven.“I took a bunch of cuttings and doubled the plantings, ended up with all these hops and figured we should do a fresh ale. The plan is that this project will have rather greater longevity than some of these deliberately one-off beers. Once costs are covered, the intention is to donate proceeds from the sale of the two kegs to Melbourne venues to sponsoring a site through the not-for-profit group 3000 Acres. They do work around Melbourne converting unused plots of land into community gardens; the idea for the money raised by the Community Hop Ale â hopefully embellished by a contribution from the two venues from the sale of the beer â is to create a community hop garden. In other words, bring together the people involved in creating the beer to plant rhizomes on a plot and grow hops to be used in future Community Hop Ales. The first step is the “call for hops”. “I imagine that there are a few people around growing hops,” says Steven, “and also salivating over what to do with them. We wouldn’t want to take away from their prized whole cone homebrew so we we’re just asking for a handful or two from willing participants. If you have hops and would like to get involved, all you have to do is email Steven via the address linked here with the title Community Hop Ale and include your name, address, contact number, the type of hops, quantity available and anticipated harvest date. Being on the road as a rep, he is happy to do some traipsing around the city making collections. At this point, the beer style is yet to be decided; much will depend on what hops and how many are collected. 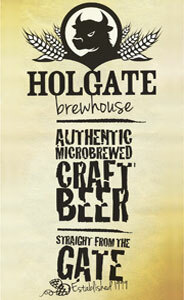 And, while we have an idea of how and when the two kegs will be launched, this is still to be nailed down. However, time is of the essence with hop harvest season upon us. So, if you are about to pluck the cones from your lovingly tended bines, get in touch with Steven pronto.